Email is the basic tool for collaboration, but there are limits as to the number and size of files that can be sent attached in one email. Thus, for example, to send a dossier with numerous folders and files, with possible notes, links, etc., email is not appropriate due to the size and number of files involved, and the absence of structure (folders and subfolders). Email is a box with no structure for the receiver. 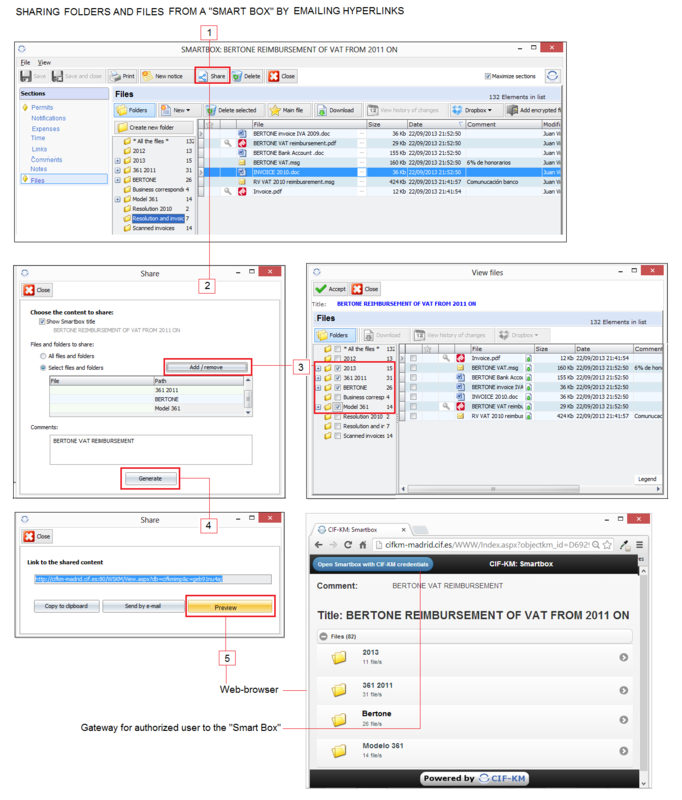 This limitation disappears if what one sends are hyperlinks to files and folders of Data Smart Boxes, maintaining the original structure of folders and files. 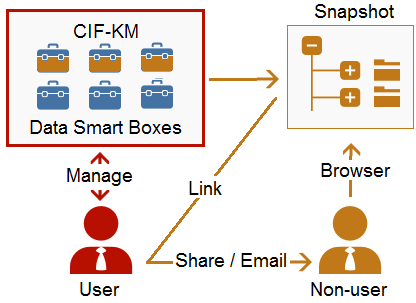 Hyperlinks provide direct access to anyone via a Web browser to a copy of some or all files and folders of any "Smart Box" maintaining the same tree-structure. They are shortcuts to the contents, but the hyperlink recipient can't act on the "Smart Box". However, if the recipient of the hyperlink is also a user authorized over the "Smart Box", he can access it directly as an authorized user via a gateway from the same Web page, either using the Web browser or the CIF client program.